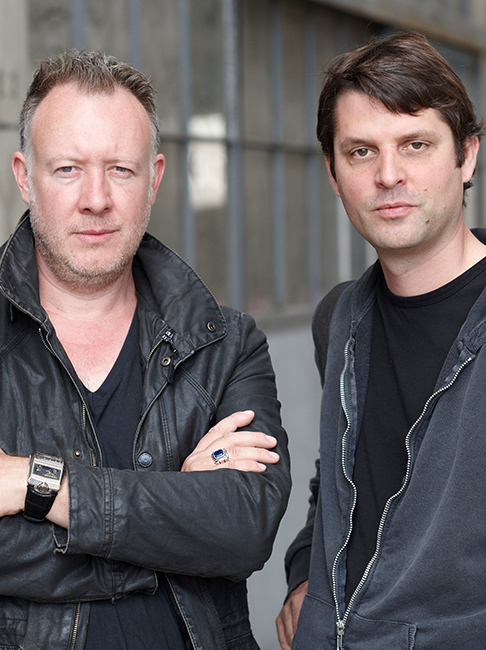 Although URWERK is a young company established in 1997 (already 20 years old!) it is recognised as one of the forerunners of the new wave known as nouvelle horlogerie. Producing just 150 watches a year, the company sees itself as a craftsman’s studio where traditional expertise coexists with avant-garde styling. 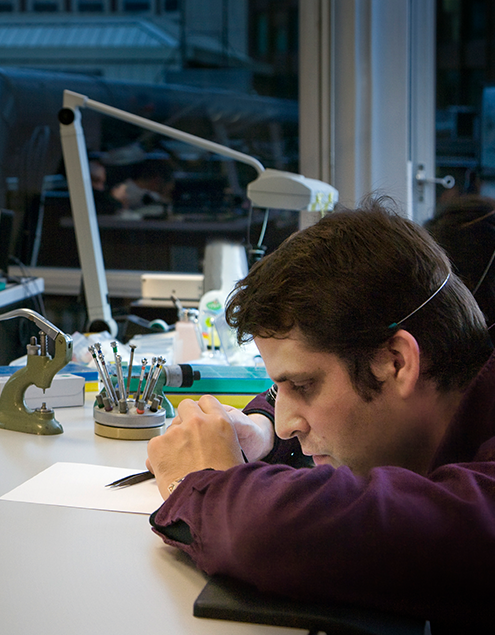 The company manufactures modern and complex watches that are unprecedented and in keeping with the most demanding criteria of fine watchmaking: independent design and research, advanced materials and handcrafted finishes. The name URWERK comes from the ancient city of Ur of the Chaldees in Mesopotamia, founded nearly 6,000 years ago where the Sumerian inhabitants first established units of time based on the shadows cast by its monuments. Ur in the German language also means primeval or original and Werk means an achievement or a mechanism. 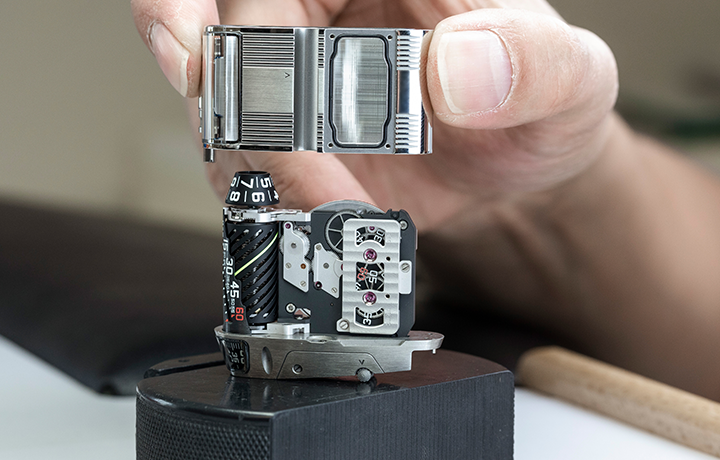 Thus URWERK can be translated as an original movement — a tribute to generations of watchmakers whose work has resulted in what we know today as haute horlogerie, or superlative watchmaking. Luminosity is at the heart of URWERK’s latest creation. Its name “Kryptonite” derives from the intense green light emitted from the hour markers. You have to slide the catch on the top of the case to reveal the mechanism of the UR-105 CT. It’s a wandering hour indication based on a new openwork carousel, which carries the four satellites, each bearing three numerals for the hours. The hours successively sweep past the minutes scale for an analogue and digital display of the time. A power-reserve indicator and digital seconds make up the rest of the information displayed on the dial. The digital seconds are remarkable in that they indicate tens of seconds. The mechanism was made using a photolithographic process, with each marker openworked to make it as light as possible. It thus weighs less than a tenth of a gram. Two pneumatic turbines on the back govern the selfwinding rate, which can be set with a lever. In the FULL position, the slightest movement of the wrist is harnessed to rewind the barrel springs. Turn the lever to STOP to disengage the selfwinding system and wind up the UR-105 using the crown. The unorthodox EMC TimeHunter is a watch in the subversive URWERK tradition. This unique concept combines a precision mechanical movement with an electronic module that monitors its rate. Simply by pressing a button you discover whether your watch is running fast or slow and the amplitude of its balance. 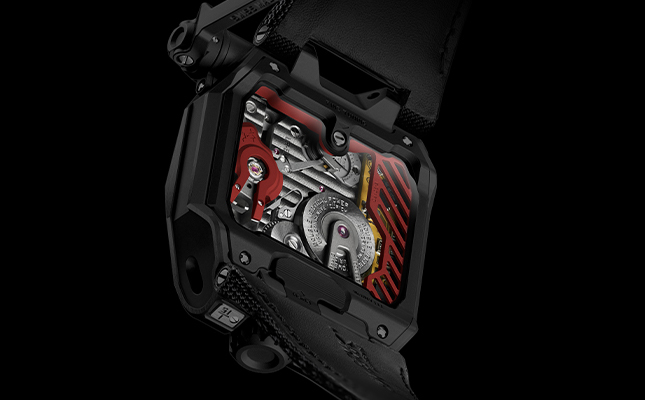 Furthermore, you can adjust it accordingly for optimum timekeeping.“We have perfected one of the most reliable way of regulating a 100% mechanical watch by making mechanics intelligent,” explains watchmaker Felix Baumgartner, co-founder of URWERK. In the URWERK tradition, none of the indications of the UR-111C watch are conventional: The minutes are shown in two different ways – linearly for eyes and digitally for precision. Never has a roller on the case performed the functions of the crown, nor have the running seconds meandered across a cluster of optical fibers. 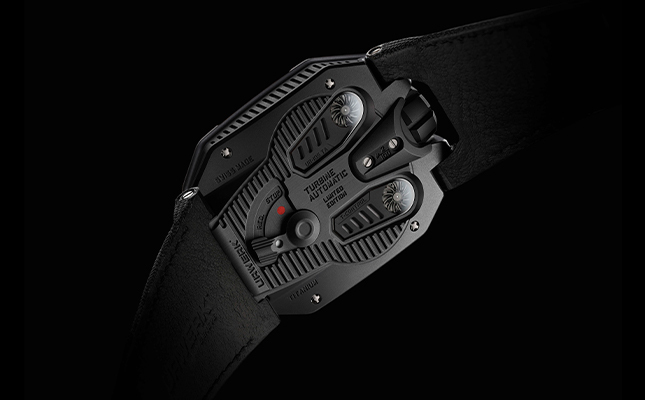 URWERK created a new interface with the watch. Instead of the conventional crown, they conceived a roller integrated into the top of the case. Rolling the long fluted cylinder with your thumb to wind the watch is indeed a new sensation, but making it possible requires miniature gearing, complex articulations and intermediate wheels. The same applies to the original way of setting the time. Instead of pulling out a crown you swing out a lever from the side of the case and turn the roller in either direction. The hours and two versions of the minutes are displayed within glass sapphire covers along the side of the case so that you can see them at a glance without turning your wrist or letting go of the steering wheel.